It’s always confusing to think whether you should start your preparation for IAS from one of the top IAS coaching institutes in Chandigarh. The Civil Services exam is one of the toughest and the most reputed examination conducted at an All India level. This examination is conducted by the Union Public Service Commission (UPSC). To help you prepare and guide you through this exam, here we have for you a list of best IAS coaching institutes in Chandigarh to prepare for IAS exam. 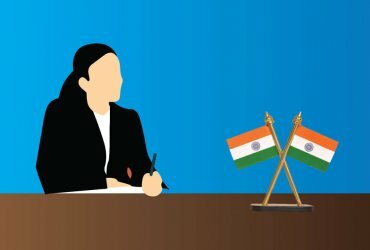 Under the Civil Services exam, recruitment is done for reputed jobs in various departments of Government of India. These exams fulfill positions like IAS, IPS, IRS, etc.. at a national level. About 10 lakh candidates from all over India appear for Civil Services exam each year. 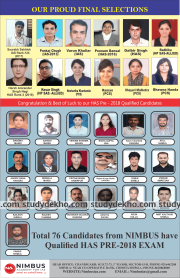 For most, qualifying the exam isn’t the only aim but to make it to the top few seats is what is vital because these positions ensure seats for IAS, IPS, IRS, and IFS etc.. For this, one can take guidance from one of the best IAS coaching institutes in Chandigarh to prepare for IAS exam and work in a competitive environment to ensure a good rank. Raj Malhotra IAS is one of the best IAS coachings in Chandigarh. The institute is led by Mr. Raj Malhotra who has 20 years of teaching experience in Chandigarh and Delhi. Having taught at institutes like Khan Study Group, Vajiram, and Ravi, Mr. Raj Malhotra is the most experienced faculty in Chandigarh for Civil Services Membership. 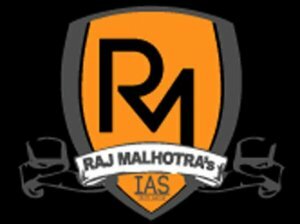 The batch size at Raj Malhotra IAS is also small which is favorable to the students. The coaching institute provides the study material which has all the important questions and previous years’ question answers. Raj Malhotra also provides the online material so that they can carry it anywhere they want without any load. The coaching also features a library where there are books of interest. As the coaching institute has positive reviews over the years and has provided satisfactory results, the institute deserves to be in the list of best IAS coaching institutes in Chandigarh. 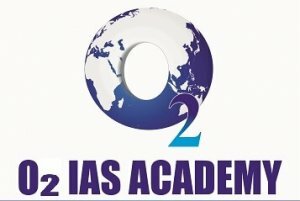 O2 IAS Academy is a premier institution for preparation of UPSC/PCS examinations. It was established in 2014 with the vision of Mr. K. S Sandhu who is a renowned Civil service mentor in North India. The idea of establishing the academy was to provide an innovative and Interactive platform to students which can help them in their endeavor in civil services. Also, the focus is more towards peer-to-peer learning revolving around debate- discussion sessions in the classroom. The batch strength is kept to just 30 so that the quality and efficiency of education is not compromised. The teachers include ex-civil servants and Scholars. The academy has produced excellent result since the inception with numerous IAS, IPS and PCS officers. Our vision is to bring an officer out of you and make you reach your dream job. Join us to make a difference. top-notch study environment making it all the more comfortable for students to study for their dream job. One can always book a personal appointment and visit the campus so as to know more about the various courses and fee structure. The Dronacharya IAS coaching in Chandigarh is located in sector 36, Chandigarh. It imparts comprehensive training for all the three levels of the Civil Services examination which are the preliminary exam, mains examination, and the interview stage. It is one of the best UPSC coaching institutes in Chandigarh, This institute focuses on the overall development of the candidate enabling students to discover their true potential. Dronacharya IAS coaching in Chandigarh to prepare for IAS exam has found its rightful place on the list of best IAS coaching institutes in Chandigarh owing to their results, faculty and overall training that is imparted to their students. CS Mentors Academy is located in Sector 34 A, Chd. It provides a great coaching for IAS, PCS, HAS and HCS examinations. The institute is known for offering daily current affairs handouts to its students so that they stay abreast with the recent happenings in and around the world. In fact, most surprising, the center also offers special classes on how to go about reading the newspaper. This is something that perhaps no other center does in the tricity. The experienced faculty along with world-class infrastructure is again something civil services aspirants cannot afford to miss. One can get assisted in their prep all round the clock. officers in these past 15 years. They have an excellent teaching faculty as they are well trained, experienced and they keep themselves updated with the latest subject matter. Students are provided with new strategies on how to go about the questions and also about how to deal with the pressure that the Civil Service exam brings with it, thereby giving them an edge over the other candidates. This institute is among the list of top IAS coaching institutes in Chandigarh and their results, coaching pattern as well as their methods etc.. state the reason as to why the institute stands at this position. The Chanakya IAS Academy coaching in Chandigarh is one of the top IAS coaching institutes in Chandigarh. For those who fall within the Civil Services eligibility criteria and aspire to achieve the top Civil Services in India, Chanakya IAS Academy trains its candidates in a way that they get an all-round polishing. They teach in Hindi medium as well as English medium which help students of different cadres get best of the training without any compromises. Reason for this coaching to fall in the list of best UPSC coaching institutes in Chandigarh to prepare for IAS exam is that Chanakya aims at inculcating leadership qualities while also giving importance to social responsibility and building the mind power of each candidate so that each aspirant get a wholesome training. 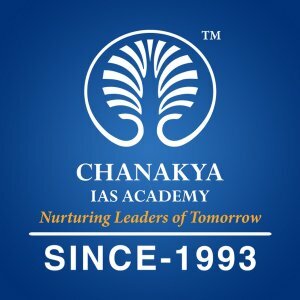 Chanakya IAS Academy coaching in Chandigarh is located in sector 8C, Chandigarh. 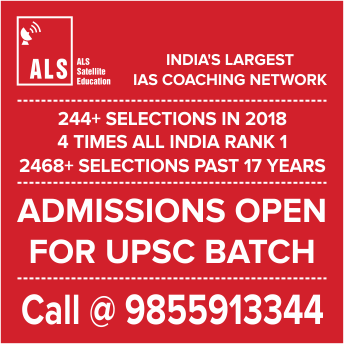 ALS IAS Academy, located in sector 25, Chandigarh, is one of the top institutes which provides coaching in IAS, PCS, HCS, HAS, Judicial Academy. IAS examination is one of the most difficult examinations in India. To clear the exam, One needs excellent guidance. This institute helps the students enrolled with them, get brilliant strategies which they can use in getting the examination clear. The study material which is provided is up to date and simplified. The students which are part of ALS IAS Academy, get to have a well experienced and well-dedicated teaching faculty which has made the ratings of the institute impressible in Chandigarh. The fee structure of ALS IAS academy is moderate and very much reasonable as far as the quality of the education provided. ALS IAS academy gets you updated with all the current affairs with their regular updating notes and suggested magazines and rest other suggested reads. 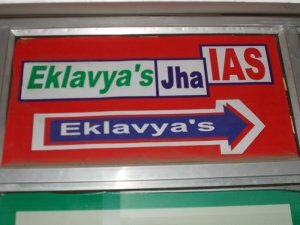 Eklavya Jha’s IAS is a prestigious coaching institute located in Sector 34-A, Chandigarh. The institute is very popular amongst the students for its flagship courses in IAS, PCS, HAS and HCS exams preparation. . The course content of Eklavya Jha is one of the best available in the region. The same applies to the faculty. The faculty members available at Eklavya Jha are well trained, highly experienced and the best in their respective fields. Proper attention is given to the individual requirements of the students and the Institute makes sure that their performance is regularly evaluated through extensive testing schedules. Equal emphases are laid on the personality development of the students to help them crack the personal interview and group discussion sessions in the later stages of these examinations. The institute, through its distinguished set faculty members and exceptionally good course content, has established itself as a brand in Chandigarh. So much so that IAS coaching has become synonymous with Eklavya Jha. The Vision IAS study is one of the best in class coaching institute in Chandigarh. 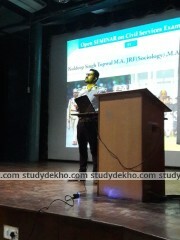 The IAS coaching institute in Chandigarh has got robust management and the in-class facul]ty. The coaching institute has got the best test series which one can get. The teachers in the Vision IAS are experienced enough to understand the exam pattern of the IAS and prepare the test series for the same. The teaching methodology of the teachers of the coaching institute is entirely student oriented. This helps in the deep nourishment of the roots of the brain of the children. 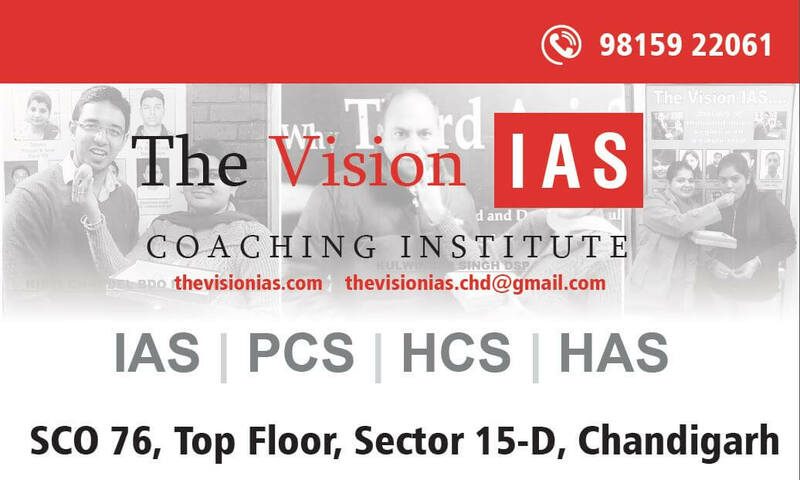 So, if you are looking for a decent IAS coaching institute in Chandigarh, then Vision IAS is a great choice to go for. Abhimanu’s Ias study group coaching in Chandigarh falls among the list of best IAS coaching institutes in Chandigarh to prepare for IAS exam because of the competitive environment which they offer and the manner in which the classes for preparation are conducted. The coaching plans induction classes, seminars, tests, guest lectures, preparation for optional subjects as well as mock interviews etc. which helps groom the applicant holistically. In fact, it is the best IAS Coaching Institutes in Chandigarh to prepare for IAS exam. There have been a number of successful students from this institute which state their excellence. This institute is located in sector 25D making it quite approachable for students around Chandigarh Tri-City. Abhimanu IAS study makes for an excellent choice for aspiring students. Anil Narula coaching in Chandigarh is located in sector 38D, Chandigarh. The team present here is very well versed and they give 100% dedication towards each and every batch that comes to study here. They guide the student right from the level when the aspirants are filling up the Indian Civil Services exam form, considering their exam criteria and understanding the Civil Services exam syllabus etc. Anil Narula IAS Centre coaching in Chandigarh ensures regular motivational sessions as well so as to keep the students focused. Quality learning and preparation material is provided to the students as well which helps it to be in the list of top ias coaching institutes in Chandigarh. 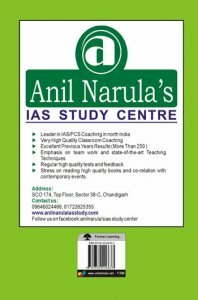 Anil Narula IAS Centre coaching in chnadigarh is definitely one of the best IAS coaching institutes in Chandigarh to prepare for IAS exam and there are a few courses that they have on offer. The Krishna Study Academy coaching in Chandigarh is one of the oldest coaching institutes in the tri-city area. They offer foundation courses well in advance for those students who are very clear about their aim. This foundation course helps students prepare much more thoroughly for the examinations which makes it one of the best ias coaching institutes in Chandigarh. 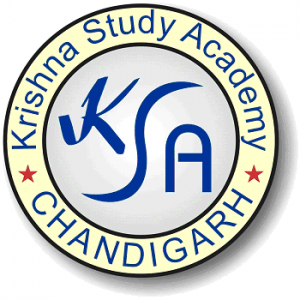 The Krishna Study Academy coaching in chandigarh provides integrated lectures, quality enrichment programs while also organises tests, seminars and interview sessions for their students so that they can prosper and learn how to deal with various situations that they will face during the course of the Civil Service Exams helping it to be one of the best ias coaching institutes in Chandigarh to prepare for IAS. This is also considered as one of the best IAS coaching institutes in Chandigarh because of their competitive environment which they provide for the aspiring students. Well sorted names in the Chandigarh city. For me, Dronacharya Ias is the best. 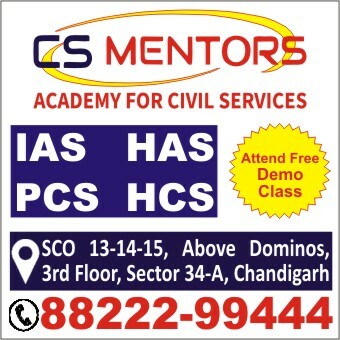 O2 IAS Academy is the leading civil services coaching academy in the Chandigarh. Nimbus Academy has a very experienced trainers who are IAS crackers and guide students to become officers. As per my experience, Krishna Study Academy coaching in Chandigarh is the prime academy in IAS Coaching. Anil Narula IAS coaching is the optimum place for serious aspirants, they have shown their capability by showing results every year. Krishna Study Academy coaching is the most superior IAS Coaching institute in the region. they provide coaching of other courses as well such as PCS, HCS, HAS, SSC. 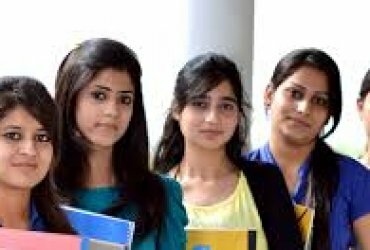 Anil Narula IAS coaching in Chandigarh is the top class, they offer number of courses and batch timings. They have excellent teaching staff, most of them are the IAS exam qualified. they are the best. 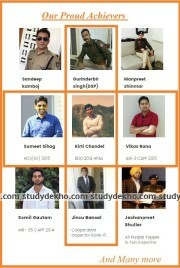 Abhimanu’s Ias study group coaching in Chandigarh is the best civil services coaching centre in the city. ALS IAS Academy is the first choice for every IAS aspirant in the city. Krishna Study is the most preferable IAS coaching institute in the city. Chanakya IAS academy is the leading IAS coaching firm in the city. Abhimanu IAS are the best in civil preparations, they have produced lots of gems in the past and they will continue with the good results. Nimbus ias coaching academy is the classy civils preparation institute. They have bagged great results every year. Chanakya IAS Academy is the best civils coaching academy in the city. 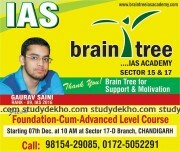 They are the best brand in India for IAS coaching. ALS IAS Academy is the prime leader in the ias coaching market in chandigarh. O2 IAS Academy is the supreme commander in ias coaching in chandigarh. Krishna Study is the ideal platform for the serious ias aspirants in the city. Anil Narula IAS coaching is nonpareil name in the ias coaching in Chandigarh. Admiring the dedication and efforts you put into your blog for providing such detailed data of ias coaching institutes in Chandigarh. Nimbus ias coaching academy is the one name which rules the ias coaching market. 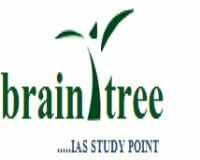 Braintree is utmost commander in civil exam preparations for centre as well as the state exams.